Learning about and choosing a PEMF (Pulsed Electromagnetic Field) system can be very confusing. There is a huge amount of information now available on the Internet about various kinds of pulsed magnetic field therapy systems. Much of it is conflicting. Poorly informed individuals post opinions. Manufacturers post opinions. Even professionals post opinions, which vary from professionals. Lies about PEMFs. Below I provide a number of what I consider to be misinformed comments about PEMFs. High intensity PEMFs are bad for you. The people who make this claim have completely ignored the scientific literature. There is a large amount of research supporting the use of high intensity PEMFs for a vast range of problems. In fact, research looking at high intensity PEMFs to the brain supports their safety as well. Only high intensity PEMFs work. There are those who also claim that high intensity PEMFs are the only kinds of PEMFs that work. They also ignore a large amount of research demonstrating that lower intensity, medium strength PEMFs are extraordinarily effective across a vast range of health problems. Low intensity PEMFs aren’t effective. While low intensity PEMFs, under 5 gauss (500 uT), have not been found to be very effective in research for specific health conditions, many people experience benefits. Very low intensity PEMFs may be most effective for health maintenance, for people with significant electrical or EMF sensitivity, and for improving circulation among other benefits. Only certain waveforms are effective. While many devices use specific waveforms, the waveform is likely less important than the amount of charge it can induce in the body. Almost any waveform can be designed in such a way as to maximize the amount of charge produced for the amount of voltage required to produce that charge. That means that some waveforms may be more efficient for charge production but not exclusive. A specific frequency is the only one that works. A vast range of frequencies have been tested in research to treat a wide range of health conditions. Numerous frequencies have been found to be effective for many individual conditions. There is no specific frequency that will solve all problems or help every health condition. On the other hand, almost any frequency will help almost any problem, especially frequencies under 100 kHz. There are specific frequencies that have been tested for specific problems and have appeared to produce benefits. Again, however, they are not likely to be exclusive in their benefits. You should only use “earth-based” frequencies. A number of manufacturers claim that their systems are more effective because they use “earth-based” versus other types of frequencies. Most of the time these earth-based frequencies are not defined. The fact is that the earth itself naturally includes a vast range of frequencies. These include those in the ionosphere, the so-called Schumann resonances, ranging from 1 – 100 Hz, as well as those entering the polar regions from space, those emitted from natural materials, the rays of the sun, colors around us, and many others. Even the static magnetic field of the earth varies, not only day-to-day but also around the planet. Even the so-called 7.8 Hz Schumann resonance is not the only Schumann resonance. All of the Schumann resonances are important to human functioning. Each 1 producing different effects and having different benefits. You only need to treat yourself 8 minutes at a time. A number of magnetic systems promote the use of 8-minute treatment times. There is no solid evidence to support this claim. A large number of studies have used various treatment times with great benefit. Studies are often limited by very practical considerations and optimal treatment times are hard to define. Ultimately, the individual determines the amount of treatment time to which to commit. Some PEMF systems are actually used upwards of 12 hours per day with no untoward effects and with dramatic benefits. There is a limit to how much treatment time can be used. Many PEMF systems advise a maximum treatment time per day. Often this is based on the practical limitations of the engineering of the PEMF system. As with many other treatment modalities, treatment times may need to be longer and more frequent at the beginning of use for specific problems. As improvement is seen, treatment time and how often they are done can be stretched out until finally periodic maintenance treatments are all that is necessary. The amount of treatment time and how often treatment should be performed will be person and problem dependent. Some problems need more time. Often professional guidance is useful to determine the best course of therapy. If a PEMF device has significant research support, this will often provide the best guidance. You should only use my (‘salesperson-speaking”) PEMF system. There are many manufacturers of PEMF systems. Each manufacturer makes their own claims. Informing yourself of your options is the best way to determine which is the most useful system for your particular needs, budget and circumstances. I frequently talk to people who were introduced to PEMF therapy without getting adequately informed about PEMFs or doing adequate research before making a purchasing decision. My doctor knows which PEMF system I should get and how to use it. Often, clinicians or professionals make recommendations based on their experience with a particular PEMF system. Unfortunately, many of these professionals have not themselves had adequate training or exposure to different PEMF systems to make the best recommendations. My doctor knows about PEMFs. Unfortunately, there is very little information provided to most doctors, through their regular educational and information channels. This includes almost any discipline, including medical, surgical, chiropractic, acupuncture, etc., about magnetic field therapies. Some doctors will admit they know nothing about this and will support their patients in exploring the use of this technology. Other doctors will say that it’s bogus and there’s no merit or science behind it. In this case, the doctor is uninformed, is not going to be supportive and can’t be relied on for advice. As with so many other things outside conventional practice, the individual seeking help needs to become informed on her/his own. What’s true for one PEMF system or signal is true for all. People frequently extrapolate results from research on unique and specific individual PEMF systems, claiming these results as applicable to their own system. This may or may not be true. In research literature you will frequently see reviews of the research on various signals, intensities, actions, and conditions. Reviewers will make note of similarities and differences, where gaps in knowledge exist and future research needs. I have seen this significantly in the past with people who have worked with static magnets. They will often claim or believe that what happens with the static magnet will happen with a PEMF system. While many actions of PEMFs signals are common across many types of signals, they are not all necessarily exactly equivalent. Ultimately, one has to apply the signal most likely to be useful for a specific set of circumstances. While the research database PEMFs is already very extensive, it is by no means complete. There is no cookbook for what is best in a specific set of circumstances. So unfortunately, extrapolation is necessary, but should be considered with discrimination, relying on an extensive knowledge base. There is only one PEMF system that improves circulation. All PEMFs improves circulation. Even a locally applied PEMF stimulator will, by reflexive action on the nervous system and chemical components of the blood, improve circulation throughout the body. Circulation enhancement will be greatest in the area of the applicator. Whole body application of a PEMF stimulator will improve circulation in a larger area of the body. Because of the natural drop-off of intensity of the PEMF signal from one area of the body to another, even whole-body stimulation will not cause evenly improved circulation. Some manufacturers have documented improvements in circulation with their specific device, but this doesn’t mean that others will not have the same action and benefit. Circulation improvements need to be put into perspective as well, given all the other actions and benefits of PEMFs, and should be considered only one component of the benefits, not infrequently the least important. Ultimately it is the body that decides which particular action of a PEMF signal it will produce. Over time all the various actions of the PEMF signal combined are likely needed to produce the best, most durable and most effective outcomes. You can’t combine PEMF treatment with other treatments. Practitioners of other modalities may say that you can’t combine PEMFs with their modality. This is patently untrue. In fact, PEMFs, more often than not improve the benefits of other modalities. The combination of the use of modalities produces better results than either modality alone. The reason for this is that each modality has unique ways of action and providing health benefits. Health conditions almost always have multiple components as a cause or as part of their development. Any individual modality will provide benefit to a certain point by addressing specific actions particular to that modality. Therefore, addressing or treating conditions with multiple modalities provides the most likely, more complete benefit. Specific examples include, combining PEMFs with acupuncture, physical therapy, nutrition, ozone, or medications, among others. There is only one PEMF system that works for one condition. While there have been numerous studies that have found a particular PEMF signal to work well for a particular condition, it is not usual to find research that compares different PEMF signals for the same condition. In fact, even when different PEMF signals are used to study the same condition, the research design is often different enough to make the comparison of results challenging. The research does seem to indicate that many different PEMF systems can benefit the same conditions. This is why I often say that whatever PEMF system you use, it will often be of benefit regardless of condition. Even if it doesn’t affect the condition specifically, it helps the body generally, which indirectly helps the body to cope with the condition. There is only one optimal PEMF signal for a given condition. Even in circumstances where a particular signal is very effective for a given condition, a conclusion is often reached saying that a particular intensity or a particular frequency is the best. But, when one looks at the research carefully one can often see that variations in the parameters, frequency or intensity, still produce results. They may not be optimal but benefits can still be seen. Be wary of anybody saying there is only one frequency, one intensity or one device that is effective for a given condition. One of the reasons for this is that any given condition, diabetes, for example, varies significantly from person to person. In ideal circumstances, the PEMF parameters would be adjusted for the individual and also for changes in a condition in an individual over time. If it’s not FDA-approved it isn’t useful. FDA approval is based on safety and effectiveness. Device manufacturers have to select very specific circumstances (indications) to obtain FDA approval. They also have to spend huge amounts of money to do the research necessary to obtain approval. This barrier would limit the availability of this unique, safe, effective and diverse technology. Companies will seek FDA approval for specific uses when there is a large potential for recovering costs and creating profit. Since PEMFs work for so many different conditions, it is very difficult, and possibly morally inappropriate, to get FDA approval for a technology that has so many uses and so much value. Unlike for medications, which have relatively unlimited “off label” uses, the FDA controls and limits the uses of devices much more strictly. Off label use is very difficult to achieve. Society would lose the full benefit of this technology using FDA approval. Combining PEMFs with crystals is the only effective therapy. Combining PEMFs with systems that incorporate crystals is becoming more popular. As has been said many times before combining modalities can often produce better results than either one alone. However, most systems combining crystals with PEMFs have very low magnetic field intensities. So, these crystal/PEMF systems can be quite useful for health maintenance and general frequency “tuning” of the body. My general experience is that these types of systems do not work well or adequately for significant or serious health problems, because of the very low intensity PEMFs. Research shows that low intensity PEMF systems do not provide much benefit for common health problems such as arthritis, vascular disease, cardiac disease, neurological diseases, bone disorders, etc. It is not known to what extent these types of systems can significantly impact aging. Because of the effects of higher intensity PEMF systems on tissues throughout the body, they would have a greater impact in slowing aging, other than superficially or cosmetically. Exercising on PEMF mats, with or without crystals, will have relatively limited effectiveness because of the loss of intensity of a magnetic and/or crystal field as the body is farther from the field. Electrical stim (estim) is superior to PEMFs. Electrical stimulation has been available longer than PEMFs. Clinicians and researchers have more familiarity with electrostimulation and a better understanding of that modality. Electrostimulation can be applied not only in the home setting but also in other professional settings. Electrostimulation is the direct application of current to the body, using electrodes and conducting gels or liquids. Electrostimulation is often less expensive than PEMFs. The major downside of electrostimulation is the limit of its penetration into the body. To penetrate the body deeply, invasive techniques often are necessary to place electrodes deep in the body, such as in the brain or the spinal cord. Estim is often painful or very uncomfortable. Estim also requires the skin or tissue to be exposed. PEMFs do not have these disadvantages. Application of PEMFs can be done without exposing the skin and directly exposing the body to electric currents. There is no risk of burning with PEMFs. Most of the time there is no sensation from PEMFs. In addition, PEMFs will go through clothing and through all the tissues of the body without being absorbed, used up or blocked by the body. As a result, PEMFs produce a much deeper penetration and benefit within the body. Estim often masks pain but does not heal the underlying cause. A major use of estim is to stimulate muscle contractions. Estim can do this with less expense than PEMFs. However, PEMFs used for muscle stimulation purposes have been found in research to produce much better muscle contractions than estim with almost no discomfort. Acupuncture is better than PEMFs. Neither is better than the other. All modalities have limitations and unique benefits. Acupuncture has been used for much longer in human history than PEMFs. There is no doubt about its value and use. However, there are many circumstances in which acupuncture has limited effectiveness. There are also many circumstances, supported by research, where PEMFs combined with acupuncture produce better results, than with acupuncture alone. The major benefit of PEMFs compared to acupuncture, is the ability of PEMFs to heal the tissues directly. Acupuncture’s benefits come from stimulating the acupuncture meridians which indirectly fortify the tissues of the body and regulate bodily functions. Acupuncture treatment requires the skills of an acupuncturist. PEMFs are mostly applied by individuals in their own home setting. PEMFs shouldn’t be combined with medications. Doctors often say that PEMFs should not be used medications. Usually this is due to a lack of understanding of how PEMFs work and the significant amount of research available about the actions and benefits of PEMFs. PEMFs can improve absorption and utilization of medication. In rare situations, PEMFs may increase the absorption of medications that often cause toxicity and need to be used very carefully. These can include but are not limited to anti-arrhythmia medications and antiseizure medications. If absorption is increased in these kinds of medications, they may become over effective resulting in potentially excessive levels. PEMFs are not contraindicated in these circumstances would need to be used with caution and under the watchful eye of the prescribing physician. It is often worth attempting use of PEMFs in the circumstances requiring these medications because the PEMFs can benefit the causes of the underlying problems, which medications often do not. A good example is the use of PEMFs with atrial fibrillation. PEMFs shouldn’t be used as part of cancer treatment. PEMFs should not be considered as a sole treatment for cancer. There is research to indicate that PEMFs can be very helpful as an adjunctive therapy in cancer treatment. People using PEMFs prior to receiving a diagnosis of cancer have often found significant benefits in reduction of side effects and improvements of benefits from their conventional cancer therapies. Because PEMFs help to condition the body to optimize its general health, recovery from cancer therapy can be made easier and smoother. PEMFs are hazardous or dangerous. People sometimes lump therapeutic PEMFs with environmental EMFs. PEMFs have a long history of use, over 70 years or more, by millions of people. Even very high intensity PEMFs, such as MRIs and more recently FDA approved high intensity PEMFs applied across the brain, have been shown to be extraordinarily safe. 1 of the concerns about PEMFs is that they may cause cancer. However, PEMFs have even been found to be valuable as part of cancer treatment programs. The most common contraindication for using PEMFs is in pregnancy. This is not to say that PEMFs are harmful in pregnancy, it’s just that they have not been formally studied. Many women have used PEMFs throughout their pregnancies without problems, in fact, experiencing a smoother pregnancy process. Women working in MRI environments throughout their pregnancies have not been found to have significant health risks. PEMFs have the same risk as environmental EMFs. There is still considerable debate about what the risks of environmental EMFs are. 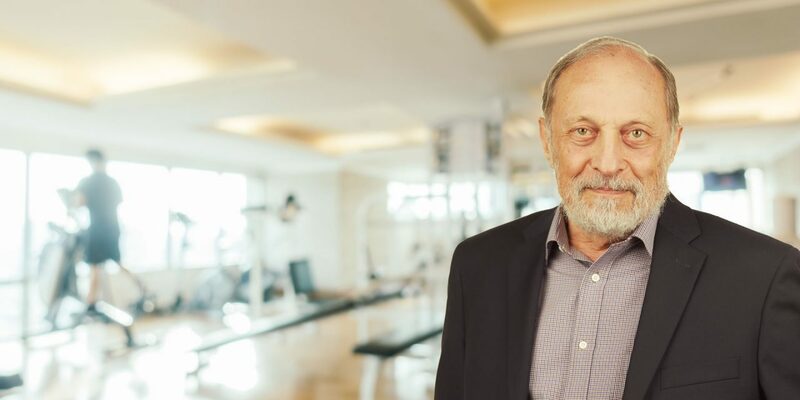 Some research has shown that people exposed to fairly high intensity PEMFs in the work environment for hours a day over extended periods of time, may actually be healthier than a comparably selected nonexposed population. Environmental EMFs, produced by cell phone, microwaves, Wi-Fi and dirty electricity are a very different kind of PEMF. Most of these are not known to nature and are not specifically designed for therapeutic purposes. Therapeutic PEMFs are very low frequency under 1000 Hz. The frequencies in the microwave range, which is what most environmental frequencies are today, are absorbed by the body and create heating and inflammation. These are considered to be the reasons that environmental EMFs have the risk of harm but not therapeutic PEMFs. To give perspective, therapeutic PEMFs have been studied in hundreds of thousands of individuals across thousands of studies, with almost all studies concluding that there are no significant side effects or risks of harm. If people follow appropriate application and consideration of precautions and contraindications, the risk of harm is dramatically outweighed by the potential benefits. Less expensive PEMFs are just as effective as more expensive. I frequently see people purchasing less expensive PEMFs because they want to limit how much they spend. This is especially true if they are not convinced that PEMFs work. Often these individuals have not done enough evaluation of how PEMFs work to know what the likely value will be of any particular PEMF system. It is generally true that the higher the intensity of the PEMF system, the larger the applicators, both in area and magnetic field intensity, the higher the cost will be. Most inexpensive PEMF systems have very low magnetic field intensities and are usually only useful for very local applications. They are often not designed for ease-of-use and durability. The important issue in selecting a PEMF system should not be cost, it should be selected considering the intended uses and the likely value. The risk in inappropriately selecting a less expensive PEMFs system is that the person may conclude that PEMFs don’t work. The appropriate conclusion would be that this particular PEMF doesn’t happen to work for this particular need. Nevertheless, because of low cost, a trial with a low cost PEMF system may be worth determining whether there is any value at all. If there is at least some benefit a better PEMF system may be considered. Many scientifically oriented people have a hard time understanding how magnets might help any health problems. Because static or permanent magnets are not dynamic it is expected that they should not affect tissue. Most people understand that magnets will affect metals or other magnets, but that tissue is not magnetic. This is also misconception because tissues have minerals and charge. All magnetic fields, whether from static magnets or PEMFs, interact with minerals and charges, even if they happen to be in the tissues of a body. 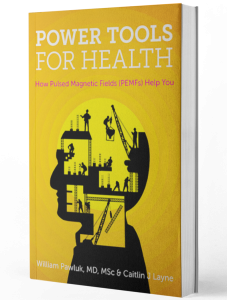 There is a significant, but not extensive, research literature that has found that static magnets do help various health conditions. Sometimes static magnets are more practical and usually less expensive than PEMFs. So, once one understands the circumstances in which they would be effective, they can be a practical solution. Their primary value comes from stimulating acupuncture points and treating fairly superficial tissue problems. Magnets are just as effective as PEMFs. There are people who primarily work with static or permanent magnets. As Abraham Maslow said, “if your only tool is a hammer you will see every problem as a nail.” In these circumstances magnets will be attempted for almost every problem. Early in my journey with working with magnetic fields I was working to develop familiarity with this technology and discover its benefits and limitations. It wasn’t long before I realized, by understanding the physical nature of magnets, that they could be useful to a certain extent, but not for all the different kinds of problems I would normally encounter as a physician. Bottom line, static permanent magnets are effective but they have a limited range of usefulness. Their primary value comes from stimulating acupuncture points and treating fairly superficial tissue problems. If a PEMF system hasn’t been fully researched it isn’t useful. While it is certainly useful to have as much research as possible, for practical reasons often this cannot happen. In any event, there is almost never enough research. There can always be more. Once the specifications, applicators and signal characteristics of the PEMF system are understood, it is relatively easy to extrapolate the likely benefits for a given person and condition. The person and circumstances need to be understood and appropriate expectations set, since PEMFs are not a panacea even with the best research. Some of the best researched PEMF systems never become available commercially. While a PEMF system may not be a panacea for all possible circumstances, almost all individuals see some benefit, if the PEMF system is appropriately selected and applied.